Thank you for visiting my website. I teach on a daily basis to pupils of all ages and abilities, not only at my own yard but I am also available to travel to teach private lessons and clinics at your home or yard. I regularly give examination training days for all levels of BHS examinations at BHS approved training centres. I also breed the occasional litter of Miniature Wire Haired Dachshunds, and information can be found on the Dachshund page of my website. I teach to pupils of all ages and abilities from serious competition riders to those who just want to improve their horses and have fun. 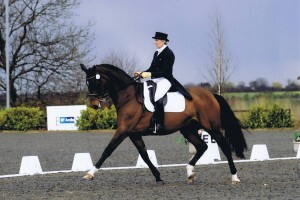 In 1998 I became one of just 50 Fellows of the British Horse Society worldwide. Iam also a List One Chief Assessor for BHS. The yard is located in a beautiful setting looking over the Chilterns, and I occasionally have livery vacancies. 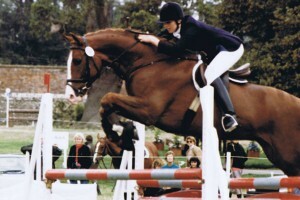 Show jumping training for all levels, with on site training jumps. BE Accredited Trainer. 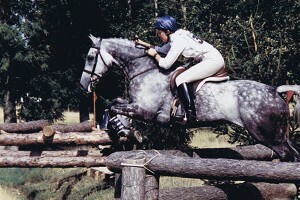 Regular clinics at local cross country courses.